Foreign Policy magazine has published extract from Nikolaos van Dam’s new book, Destroying a Nation: The Civil War in Syria. If Western politicians are wondering why they achieved so few of their goals in the Syrian civil war, they should start by examining their own decisions. The West’s approach to the Syrian uprising was from the very beginning dominated by an overdose of wishful thinking. Politicians apparently based their positions on their day-to-day domestic political reflexes, rather than on the long-term vision and result-oriented pragmatism that were needed to work toward genuinely helping to solve the conflict. Most Western politicians early on became fixated on the idea that the conflict could only be resolved if President Bashar al-Assad were removed from power. Many really thought that the regime would fall within a relatively short time. Various ambassadors in Damascus expected Assad to have been gone by the summer of 2012. The strength of the regime was completely underestimated, partly out of ignorance and lack of knowledge of the Syrian regime, as well as because of misplaced optimism. Academics, journalists, and policymakers who predicted that there was a realistic chance for the Assad regime to survive for a longer time, or called the moral legitimacy of the allegedly “peaceful” opposition into question, ran the risk of being accused of being pro-Assad — or even of being against democracy. Ideological arguments sometimes prevailed over realistic ones. Even the United Nations and its special envoys for Syria were from time to time accused of being partial to Assad after the slightest move that could potentially be interpreted as not opposing his interests. Western politicians generally had clear thoughts about what they did not want, but no realistic or clear ideas of what they wanted in Assad’s place. They wanted a kind of democracy in Syria, but a violent ousting of Assad could not realistically have been expected to result in such a desired peaceful democracy. Politicians did not always keep up with the realities on the ground and continued to use “politically correct” slogans even though the country’s situation no longer fully justified them. The Syrian opposition continued to be described as peaceful and democratic, even long after more radical forces, including Islamists and jihadis, had hijacked its platform and the Syrian war was already well underway. Subsequently, the concept of peaceful opposition became more of a myth than the reality it was in the beginning. But the rhetoric of Western politicians did not change. Nor did the West’s military support for the Syrian opposition ever match its rhetoric, thus dangerously inflating the opposition’s expectations. The opposition was never given sufficient military support to bring the regime to its knees, even when such military pressure would have been necessary to achieve the political solution the West claimed it wanted. With this combination, the Syrian revolution was doomed to failure — certainly as long as the regime received military support from its allies Russia, Iran, and Hezbollah. The Western countries’ declared aim of arming the opposition turned out to be rather restricted when it came to reality. When the EU arms embargo against Syria was lifted at the insistence of the United Kingdom and France in 2013, there was — contrary to expectations — no great change as far as arms deliveries to the opposition were concerned. It turned out that there was no political will to really arm any part of the opposition to such an extent that it had a real chance to win battles against the regime, even where the predominantly secular side was concerned. Questions were raised about which of the many opposition groups should be armed and with what aim, as the Western countries obviously wanted to avoid the possible establishment of an Islamic extremist dictatorship. But was there any guarantee that arms provided to others would not end up in the hands of Islamists and jihadis? And were the arms really intended to help topple the Assad regime? Or was providing arms mainly intended to help the opposition in defending itself? Or mainly to fight the Islamic State, the Nusra Front, and other jihadi organizations? Was it a humanitarian gesture? No clear U.S. or EU strategy was visible, except that defeating the Islamic State became the priority. Meanwhile, more radical Islamic groups had become stronger than the relatively moderate Free Syrian Army (FSA). Countries like Saudi Arabia and Qatar focused their support also on Islamist armed organizations like Ahrar al-Sham and Jaysh al-Islam. What the West clearly wanted to see was a moderate, democratic, secular, pluralist successor regime, but such a possibility was not a realistic prospect, certainly not in the foreseeable future. 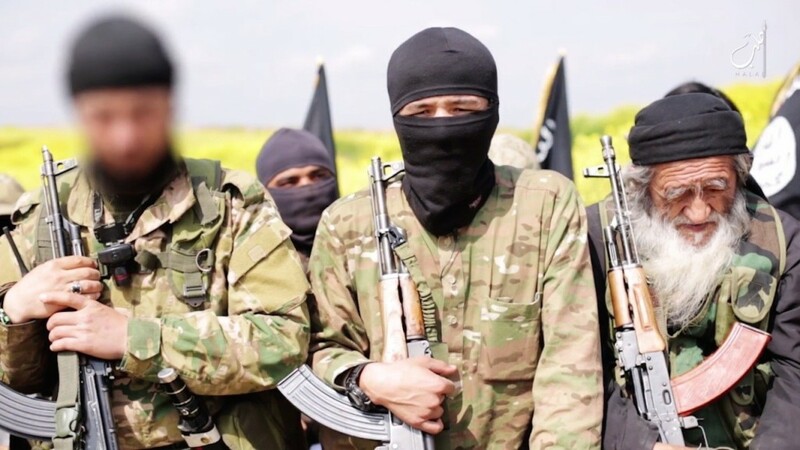 As far as the secular armed groups of the FSA were concerned, they gradually also became more radicalized as a result of the prolonged bloody war. The Islamic current in Syria had become stronger during the Syrian war, and secularism had correspondingly become less popular. Western politicians, however, largely ignored this development, continuing to pay lip service to what they considered to be the predominantly secular opposition. But as long as they did not provide it with the necessary means to gain the upper hand in battle, their moral support did not have any decisive value on the battleground. While they may have cleared their “political conscience” by expressing support for the opposition, they were, in reality, unintentionally contributing to prolonging the war and helping Assad move toward victory, particularly after Russia started to intervene militarily on the regime’s behalf in September 2015. Western leaders on various occasions called for measures against the Syrian regime that they could have known in advance were not going to be implemented. But to do nothing or not to react at all was, politically speaking, not an acceptable option for democratic governments. Nevertheless, it can, rationally speaking, be argued that in some cases it would have been wiser to do nothing rather than to do the wrong thing with disastrous consequences. Politicians were expected “to do something.” Expressions like “Shouldn’t we intervene there?” and “How can you just sit by and watch how people in Syria are being oppressed and slaughtered?” became quite common, but not much was done in practice to drastically help change the situation of the Syrian population on the ground. A key question that ran throughout the debates around the Syrian crisis was: Is justice to be done? The answer was: Yes, of course, but at which cost? It was easy to say, for instance, that Assad should be tried for crimes against humanity at the International Criminal Court (ICC) in The Hague. But this did not help in finding a solution. The idea that Assad would ever be able to leave Syria alive for such a court case was extremely unrealistic. Some people did even imagine that President Assad would start to behave and think differently once he was more aware of the future possibility of being tried at the ICC. It all appeared to be wishful thinking. Calling for justice was good in itself, as was the documenting of all the war crimes that had been committed. This had to be done, of course, but not over and above efforts to proactively work toward finding a solution and preventing the further bloodshed that would undoubtedly continue if no serious negotiations were facilitated among Syria’s various clashing factions. The call for justice needed to be part of wider efforts to create peace, rather than focusing only on who were guilty of the crimes committed against the Syrian people in the recent past. A political solution had to be found before justice could be done. It could not be the other way around. The West in fact created false expectations and gave the opposition hope for more Western support, which, in the end, was not provided. By branding the rule of President Assad as illegitimate, Western countries may have been morally just, but they thereby prematurely blocked any opportunity they might have had to play a constructive role in finding a political solution to the crisis. The question was: What should have priority — being morally correct or helping find a solution? Domestic political factors were apparently considered more important. Robert Ford, the then U.S. ambassador to Syria, had reportedly opposed calling for Assad’s departure, arguing that the United States would not be able to bring it about, but his counsel was overruled. According to Christopher Phillips, “the domestic cost of not calling for Assad’s departure was perceived as getting too high” in the United States. The solidarity visit of Ford and his French counterpart, Eric Chevallier, to the opposition in Hama in July 2011 looked sympathetic from a Western point of view but in fact led to the end of the possibility for the United States and France or other countries to play any role as mediator in the conflict. Their visits rather created false hopes among the opposition that essential Western support was forthcoming — and in the end it was not as forthcoming as had been suggested. In some ways, the situation looked similar to that of southern Iraq in 1991, when the United States and others encouraged the Shiite community to rise up against the rule of President Saddam Hussein but did nothing to help them when their uprising was bloodily suppressed. As David Lesch put it, “Ford’s actions were universally praised in the United States and elsewhere in the West as a courageous act that drew attention to the plight of the protestors, and in so doing helped prevent what some had been predicting: another massacre like the one in Hama in 1982.” But it is more probable that his and Chevallier’s actions achieved the opposite. When more than five years later the Syrian regime reconquered the eastern part of the city of Aleppo in December 2016 — which had been under the control of military opposition forces for more than four years (and lay in rubble as a result) — the greater part of the international community, including the Western and Arab Gulf countries that had supported most of the military opposition forces, could not do much more than stand idly by and issue statements of the strongest condemnation and moral outrage concerning the bloodshed and atrocities that had reportedly taken place. They were powerless to intervene politically or militarily because they had already excluded any military intervention in Syria several years before and no longer had any real influence over the Syrian regime (with which they had broken off relations years earlier) nor over its allies Russia and Iran to change their policies concerning Syria. Moreover, they apparently had not provided the opposition groups with enough military support to be able to win the battle for Aleppo. In 2012, leading figures in the Syrian National Council still spoke of their preference for military intervention, as if it were a realistic possibility. Regional leaders had been assuring the opposition that intervention was “definitely coming” but refused to accept the possibility that the United States would eventually choose not to militarily intervene after decades of muscle flexing. It took a long time before the opposition started to be sufficiently aware that it had become the victim of the false expectations created by its so-called friendly supporters in the West, who did not want to openly confront it, and themselves, with the realities of the situation. This extract was posted on the Foreign Policy website on 22 August 2017. Nikolaos Van Dam is Dutch diplomat and author with extensive experience of the Middle East. His previous book on Syria is The Struggle for Power in Syria. Politics and Society under Asad and the Ba’th Party (4th edition), 2011.